Crosby Parks had the life most guys only dreamed of. A wealthy family, girls vying for his attention, and pro scouts after his hockey skills. But when the life he knows comes crumbling down, he’s sent to Alabama to escape the media storm and to rebuild his life. If Crosby has any shot of playing professional hockey, he must keep a low profile and graduate from college. But the second he steps foot on campus, keeping a low profile becomes impossible. Sabrina’s mind is made up. After encouraging Alabama’s star wide receiver to friend-zone her and pursue someone else, she’s determined to focus on herself and stop being everyone’s trusty sidekick and shoulder to cry on. But when she stumbles upon a naked hockey player tied to a tree in the middle of the night, Sabrina’s life is thrown upside down. Because when you leave someone tied to a tree, they eventually get free. A New Adult Sports Romance in the For You Standalone series. This is book three. Each book follows a new couple and can be read as a complete standalone. 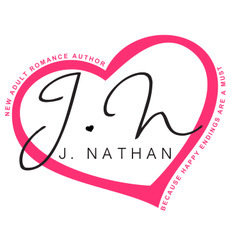 J. Nathan is the author of new adult and sports romances with cocky heroes and sassy heroines. 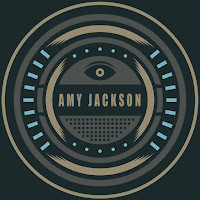 When she's not writing, she's a total romance junkie! Add an alpha male who's unlikable in the beginning...even better. She loves watermelon margaritas, guys in backward hats, country music, the summertime, and her amazing family and friends.